polyester, and wool Jacquard tapestry, 104 1/2 x 115 inches. ©2016 Conner Family Trust, San Francisco / Artists Rights Society (ARS). Courtesy Paula Cooper Gallery, New York. In 2002, five years before his death, Bruce Conner began working with Magnolia Editions on several projects, one of which was a series of large tapestries recreating the compositions of collages he had made in the late 1980s and early ‘90s. 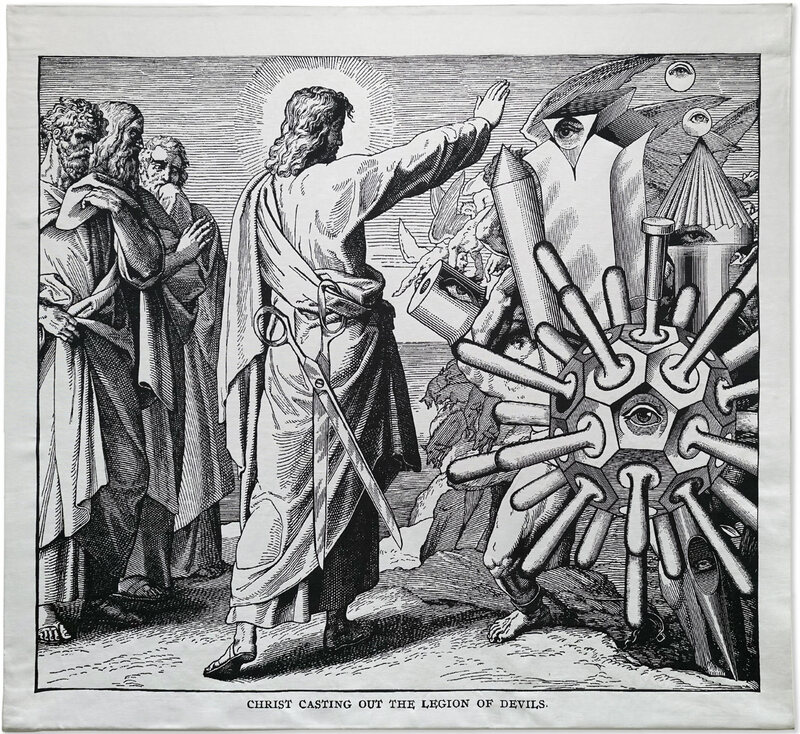 Known as the Life of Christ Series, they reconfigure illustrations from Julius Schnorr von Carolsfeld’s Picture Bible (1857–60) with pictorial fragments of machine parts, detached eyeballs and geometric shapes. Paula Cooper Gallery recently exhibited all five tapestries along with twelve unrelated collages, while the Museum of Modern Art’s Conner retrospective “It’s All True” (3 July – 2 October 2016) included four of the five collages on which the tapestries were based, as well as a broad selection of the artist’s mixed-media constructions, photograms, dense reiterative ink drawings and films. The convergence provided a welcome opportunity to consider Conner’s methods and in particular his genius for precise, strategic, even sublime, recycling. 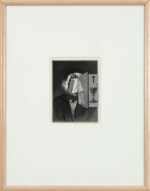 Bruce Conner, PORTRAIT (FRAGILE), JUNE 21, 1990 (1990), engraving and graphite photocopy collage on archival paper, image 6 x 4 1/2 inches, frame 18 3/4 x 14 3/4 inches. ©2016 Conner Family Trust, San Francisco / Artists Rights Society (ARS). Courtesy Paula Cooper Gallery, New York. Photo: Steven Probert. The earliest collages at Paula Cooper dated from the mid-1980s and were made from intricately cut and sutured 19th-century steel and wood engravings. They are impressive in their meticulousness, though in some ways not as interesting as those he made with a photocopier, where he was able to duplicate and redeploy his own work. 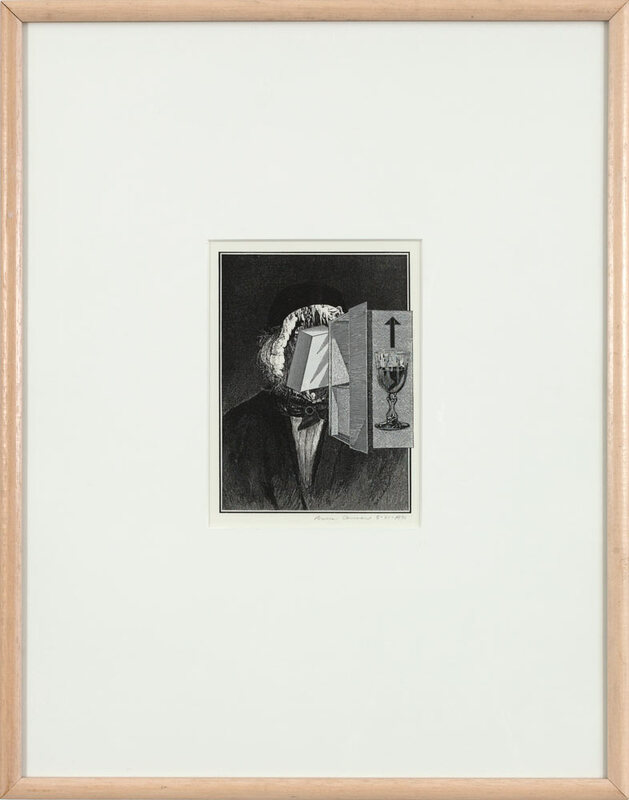 The base layer of PORTRAIT (A), JUNE 19, 1990 and PORTRAIT (FRAGILE), JUNE 21, 1990 (both 1990), for example, was a reduced photocopy of Conner’s own collage—on view at MoMA—THE ARTIST, March 21, 1990 (1990), a head-and-shoulders portrait with a face comprised of organic forms that might be roots, icicles or wispy fur. In the two later portraits, this monstrous visage is masked with tidy if nonsensical polygons, objects and ornaments, a strategy extended in the Life of Christ. The images closest in aesthetic to the tapestries were four untitled works created between 2001 and 2005: high in contrast and very flat, their compositions are unified by photocopying, the seams reduced to mere lines on an unbroken surface. This process of fusion through reproduction was dramatically extended in the tapestries, which were woven on Jacquard looms in Belgium from digital scans of the collages. 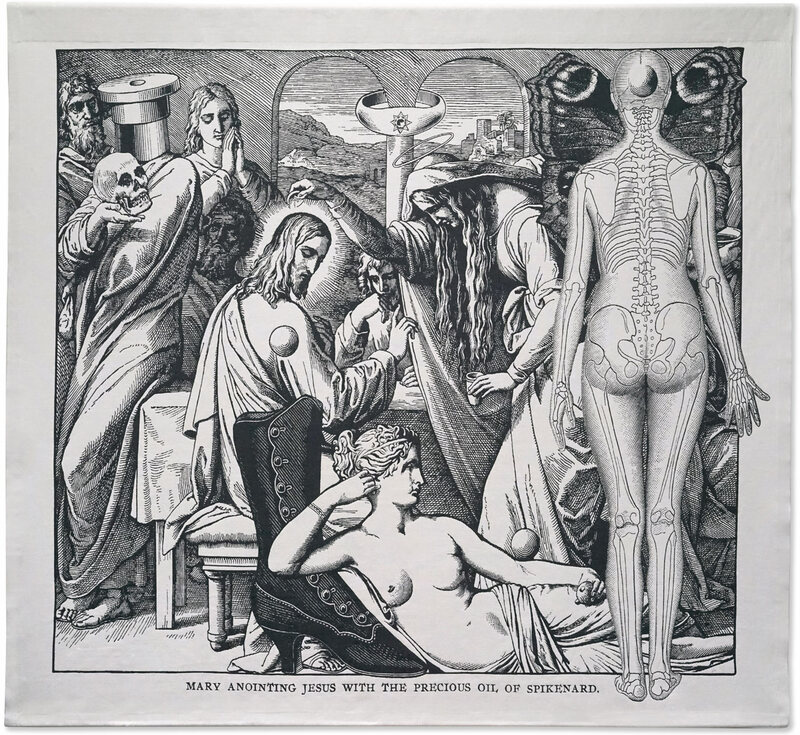 Beginning with Schnorr’s didactic Bible story illustrations, Conner reordered the compositions through excision and addition—cam bearings and bell jars replace heads, a lady’s buttoned boot appears in the house of Mary and Martha, animals are replaced by skulls—but all the elements share the same old-fashioned, textbook, linear mode of depiction. Because the narrative exegesis of Schnorr’s scenes depends on body language and props, the removals do as much to unhinge the logic of the picture as the additions do. In AT THE HEAD OF THE STAIRS (1987/2003), for example, a bearded fellow with a walking stick gazes off into a kind of bubbly cosmos; originally he was looking up at a woman who pointed him toward the house of St. Peter. The meaning of the man’s gaze changes from external purpose to unfocused musing. Bruce Conner, AT THE HEAD OF THE STAIRS (2003), cotton, fire-retardant polyester, and wool Jacquard tapestry, 92 x 82 inches. ©2016 Conner Family Trust, San Francisco / Artists Rights Society (ARS). 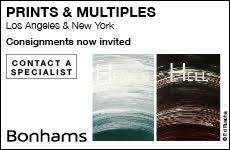 Courtesy Paula Cooper Gallery, New York. Conner’s retooled biblical scenes juxtapose two types of vision—something that is directed inward and perhaps (metaphysically?) inclined, and something extended out into the material world. In MARY ANOINTING JESUS WITH THE PRECIOUS OIL OF SPIKENARD (2003), Judas’s head is replaced with metal cylinders—without eyes he no longer sees or thinks with compassion or humanity. The figure appears animated by an inhuman, mechanistic logic; he becomes doubly blind, incapable of self-reflection or of seeing others. Conner not only gives us eyeless bodies, he gives us bodiless eyes. In CHRIST CASTING OUT THE LEGION OF DEVILS (2003), disembodied eyes hover over the devils, who are recast as prismatic constructions. These eyes, which appear frequently in his collages, are reminiscent of the Eye of Providence that adorns the Great Seal of the United States, floating above an unfinished pyramid. In this sense, the motif suggests a divine omniscient vision, unbounded by either reality or the self. 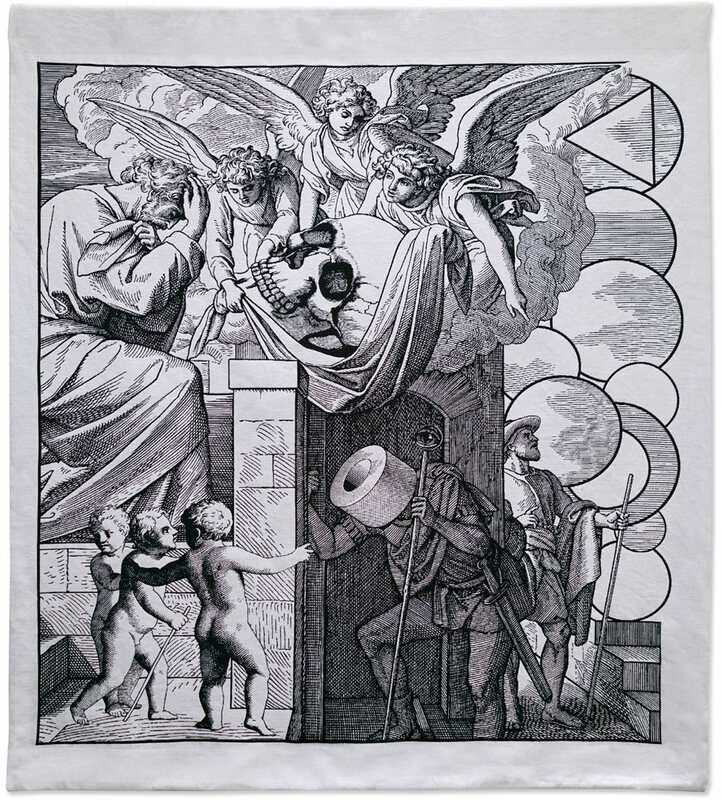 Bruce Conner, MARY ANOINTING JESUS WITH THE PRECIOUS OIL OF SPIKENARD (2003), cotton, fire-retardant polyester, and wool Jacquard tapestry, 105 1/2 x 115 inches. ©2016 Conner Family Trust, San Francisco / Artists Rights Society (ARS). Courtesy Paula Cooper Gallery, New York. In remaking the Life of Christ collages in the peculiar form of tapestries, Conner changed their character in fundamental ways. The works on paper are delicate and almost pocket-sized; they demand nearness to appreciate the details. It is impossible for two people to look closely at the same work at the same time, so the intimacy of the object is not a mere suggestion. The tapestries, on the other hand, are monumental, the figures larger than life and exquisitely rendered. Woven, the lines of the engravings become subtly pixelated (Jacquard looms, invented at the turn of the 19th century, are frequently cited as a precursor to modern computers for their use of interchangeable punch cards to control a sequence of mechanical operations). The cinematic scale, the luminous black-and-whiteness, and the similarity of the hung fabric to wall-mounted movie screens all conspire to draw a line between Conner’s films and his collages. They seem meant to be viewed en masse. They exemplify his penchant for microscopic precision and also his understanding of how to engage a crowd. Conner had a lot of material to choose from, so it is fair to ask why he chose this specific subject for such grandiose treatment. 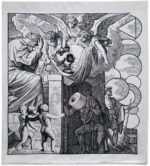 It may be tempting to answer this question through biographical detail (the “turning to religion at end of life” idea), but Conner’s art was never autobiographical and certainly never nakedly transparent. Born and raised in the Bible belt, Conner had addressed organized religion intermittently—and a diffuse spirituality more persistently—throughout his career. The best way to seek an understanding of Conner is, however, simply through giving oneself over to the experience of his work in all its erratic, eclectic and perfectly poised irrationality.